The book contains a few photos I took, as well as some information about my layout. I am delighted that Tony considered my material and that I was able to contribute to this project. 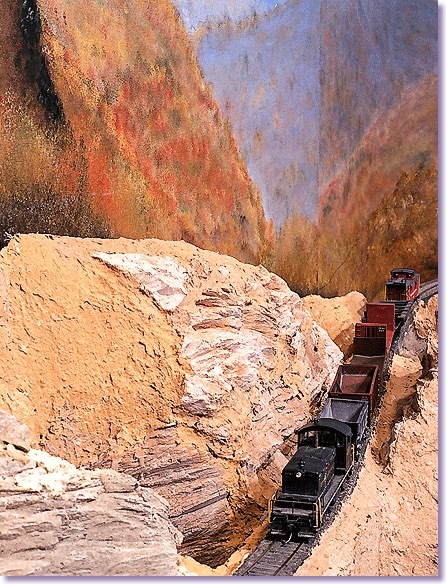 The general consensus among my fellow modelers is that Guide to Narrow Gauge Modeling is geared toward someone who is interested in building a layout and is considering narrow gauge. Those of us who have already made the commitment to narrow gauge modeling may find the book a little too broad in scope and too thin in depth. Much like the “Wonderful World of Model Railroading” books I used to get for Christmas growing up, the subject matter is too complex to be effectively covered in an overview. Indeed, when Tony Koester and I were emailing back and forth back in April, I was wondering if a book with resources pulled from here, there, and everywhere would lack overall coherance. But that was the editor’s problem, not mine. I was happy to help any way I could. As a relatively recent convert to narrow gauge modeling, I well remember being a member of this publication’s target audience. Ten years ago, I had an HO standard gauge layout that was generally not succeeding. The aspect of that layout I enjoyed the most was the stone handling industrial shortline that I called Greenbrier Lime & Stone. Discovering that the simple, straightforward operation of the GL&S was my favorite part of the Dry Fork layout sent me down a different path. Instead of trying to design in the most operation possible, I tried to determine the least operation my layout could have and still be interesting for the long term. The simple, spare trackplans I emailed my modeling friends during that time “looked narrow gauge” to them. I changed my guidance from the standard gauge “timetable/train order” group to the narrow gauge group. 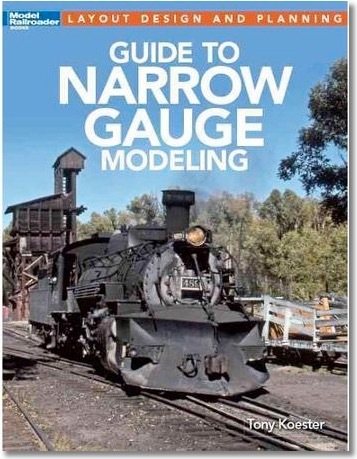 At that point, if Guide to Narrow Gauge Modeling had been available, I would have purchased a copy. And the single part of it that would have impressed me the most would have been the illustration of the prototype Manns Creek coal loader at Clifftop, West Virginia paired with the excellent modeling of Jeff Kraker. Campus of Alberene Stone in the mid ’80s. I began to consider modeling the soapstone operations of Nelson County, which were just the type of interesting, obscure, industrial subject that could make for a successful narrow gauge layout. As it happened, I was lucky enough to fall into the company of narrow gauge modelers who were interested in operation. Tom Sullivan, Brian Bond, and Steve Sherrill have become great friends who have been very patient and generous with their time and talents. Operating on their layouts convinced me that simple industrial railroads represent an excellent modeling opportunity. Since then, my narrow gauge operating crew has grown considerably. Research, construction, and operation are an ongoing source of enjoyment for all of us. The operation may be simplistic, but increased emphasis on the craft of portraying the character of the prototype more than makes up the difference in project interest.